Here's a cute little booklet to print for sisters - perfect for a new baby arrival, a birthday, Bhaiya Dooj or just any day! Fill it with pictures, words, scribbles or even a handprint! Choose from lined or blank. You will our origami booklet instructions. Just what you need to write a letter to a special sister! Choose from ruled or blank paper. Ask the kids to think about what it takes to be a good sister with this fun job description worksheet. Here's a fun activity to encourage the kids to think about why their sister is a superhero. Can they write down all the times she's been a superhero to them? Or maybe write a fun poem or creative story about her instead? Relationships between siblings aren't always easy, but you can encourage the kids to think about all the good points of their own sister with this fun recipe printable! This would also be a fun activity to do with a child when a new baby sister is on the way. Start the kids off learning to write the word "sister" with this finger tracing worksheet. Why not laminate it for repeat use? Children can finger trace, trace and copy the word Sister until they can write it on their own with this cute handwriting worksheet. 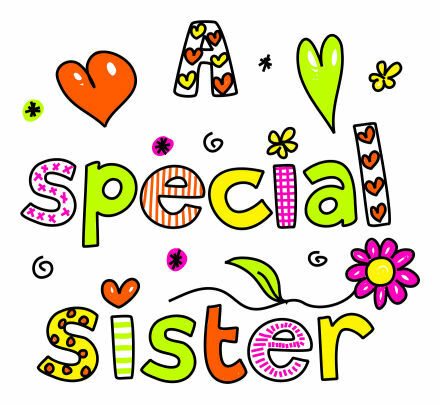 Children can trace over the dotted letters to write the word "sister", then colour in the picture. Let a sister know she's special with this folding booklet. You could use it for a new arrival, a big sister or a little sister - or even your grown-up sister! Folding instructions are here. 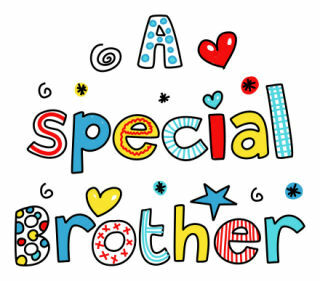 The perfect card to let your sister know how special she is! Just print, colour then fold. Ask the kids to write a creative story or poem about their super sister using our story paper, then colour in the picture too! We have two versions available, lined and with handwriting lines. Our super sister writing prompt is a great way to get the kids thinking about why their sister is great, and we're sure she'd love to read what they've written once they've finished. Alternatively, they could write a creative story with their sister as the central character? Do you have the world's best sister? If so, let her know by writing a newspaper article that includes all her best features! Alternatively, use the writing prompt for some creative story-telling.